“It is indeed a great privilege for me to lead our young leaders of the college for the year 2019 and I believe my leadership qualities will help me to be an example to students as well,” Ratu Penioni said. Great leaders don’t set out to be a leader, they set out to make a difference. 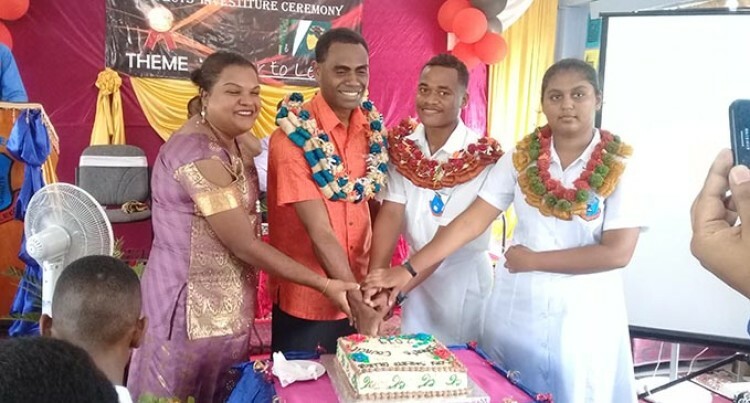 This was the definition of a leader by the newly inducted head boy of Sabeto College, Ratu Penioni Buatavatava, on Friday. The 18-year-old from Lautoka aspires to be an engineer one day and believes that this leadership role will bring out the best in him to become a role model for others. He is thankful to school teachers for placing their trust in him to lead the school’s student body and be the head boy. Head girl, Joytika Chandra felt privileged to be given the honour to lead the prestigious institution. “I hope my work and attitude will inspire students to be future leaders and help shape the lives of others,” she said. Joytika believes leaders must have faith in themselves to shine among others. The chief guest at the induction was the Assistant RokoTui Ba Provincial Council, Ratu Iosefo Roragaca Rovereivalu. He reminded prefects that leaders were not born but made and in order for them to be a good role model they must first abide by all the rules and regulations of the school. He further inspired the students by telling them of how privileged they were compared to the struggles he went through when he was in school.